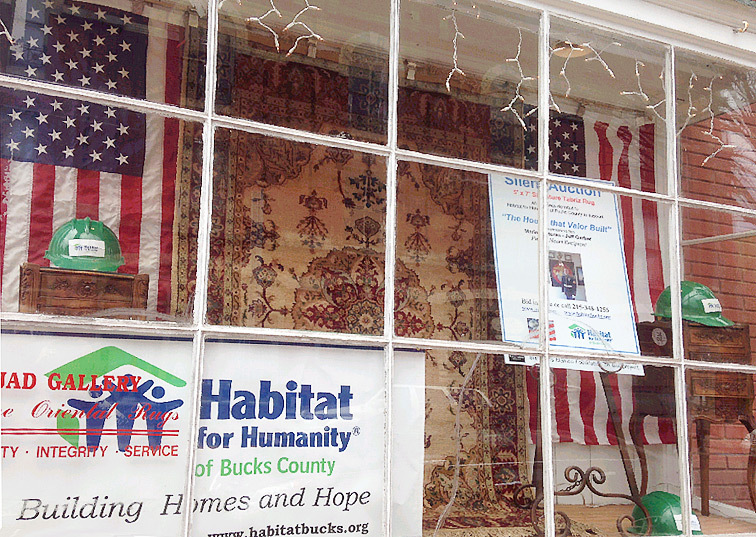 Nejad Oriental Rugs of Doylestown Rug Auction to benefit Habitat Bucks "House that Valor Built"
DOYLESTOWN - Nejad Gallery Oriental Rugs of Doylestown is stepping forward to support Habitat for Humanity’s "The House that Valor Built." Theresa and Ali Nejad have are providing a 5 by 7 Signature Tabriz Oriental rug for silent auction with proceeds from the sale of the rug, featured in Architectural Digest, benefiting "The House that Valor Built." The rug is on display in the window of Nejad Gallery Oriental Rugs, 1 North Main Street in Doylestown. The silent auction for the rug will continue until May 1st. To bid on the rug, call 215-348-1255 or visit the store [ submit your bid online ]. The Valor House is one of the townhomes in the second phase of Habitat’s Penn Villa project scheduled to begin in late summer. Plans for Penn Villa in Sellersville includes 10 town homes. Each cluster will consist of two four-bedroom units and three three-bedroom units. Cluster One is currently under construction and will be completed by fall 2013. The House that Valor Built” will be the new home of Jeff Garber, a Marine Corps Veteran, Purple Heart recipient and veteran of two tours in Iraq who is currently working the telecommunications field. Jeff, born in Doylestown, is a life-long resident of Bucks County and will be working alongside Habitat volunteers and sponsors to help build his home. My family considers it a privilege to be able to help Habitat of Humanity build a home for a young man who volunteered to serve our country in Iraq at a time of war,” said Ali Nejad. “Having gone to Afghanistan with the U.S. Department of Commerce in 2007, my wife and I saw firsthand the extremely dangerous environment our soldiers face. 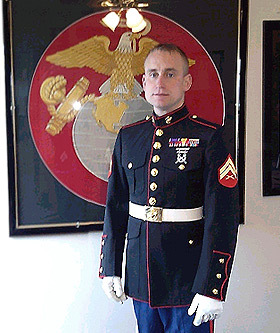 Doylestown's son, Jeff Garber, represents the very best qualities of selflessness and courage that makes our society great and free. I hope to encourage other Doylestown merchants and residents to join the effort by offering items or services to help raise funds for such a worthy cause,” said Nejad. 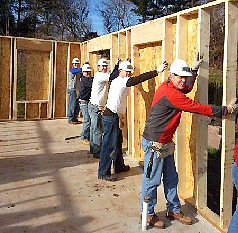 The mission of Habitat for Humanity of Bucks County is to build affordable homes, better lives, stronger families, and safer, revitalized communities through partnerships with people and organizations throughout Bucks County. Founded on Christian principles, it offers the opportunity for all people regardless of religious or cultural background to make safe, simple, affordable housing a matter of conscience and action. Since its founding in 1990, Habitat Bucks has built 87 affordable homes in Bucks County, relying on the generosity and commitment of neighbors and partner families to provide these resources.
. . . to MAY 1st!